There are marketers out there that are trying to get you to buy these so called “energy drinks,” claiming they are good for recovery after a workout. But beware, these energy drinks are loaded with caffeine, sugar, and empty calories and don’t make a good recovery drink at all! What you really need is something to replace those lost fluids and electrolytes. You can try a sports drink if you want, which is usually lower in sugar and higher in electrolytes. What I like best, however, and can save you a little money is making your own recover drink. I love a fresh juice mix: pears, spinach and celery make a good combination. So you thought that drinking that beautiful little diet soda was a healthier choice than that old big-belly, non-diet soda? Well, guess what, that beauty is breaking your heart. According to research presented at the American Stroke Association’s International Stroke Conference, (sounds like a hoot, doesn’t it?) 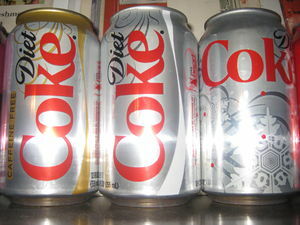 those of us who drink one diet soda a day are 61% more likely to have what they call a “vascular event”: in other words, a stroke or a heart attack. Why not try some fresh-squeezed juice that you made yourself using a fruit and vegetable juicer? 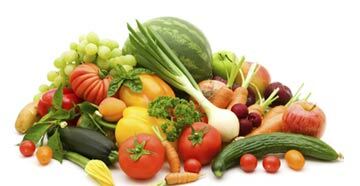 Beets, apples, carrots, cucumbers, and a whole slew of fresh produce can make your day, maybe even be the “apples of your eye,” to continue the analogy. So, to paraphrase the coolest man in the world: I don’t always drink juice, but when I do, I drink freshly squeezed. Stay healthy. This is the time of year that many people are kicking themselves for not meeting their New Year’s resolutions. That new gym membership has not sweated in the last month; the diet plan is collecting dust; those cigarettes found their way back home like a prodigal bum. Our personal health phase is over—it was too much work. Why not try a different strategy that is less stressful and demanding that might bring about those same desired results? HealthCastle.com provides a simple idea: why not try healthy snacking to loose weight and acquire more energy. Eat more to lose weight? Are you nuts? 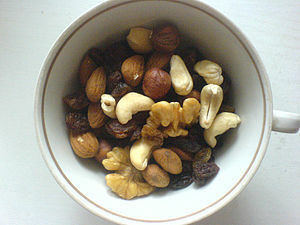 (No, that was an earlier post—“Seeds and Nuts” [yuk-yuk]). What the author of the blog post, How Healthy Snacking Helps Your Diet” argues is that if we change the quality of our diet and snack with a purpose, we will become healthier. The recommendations include hydrating often to aid our critical body functions; eat snacks that contain proteins and carbohydrates for their nutrients; snack often so that we don’t gorge at the next big meal. Finally, studies show that those of us who eat breakfast eat less calories throughout the day. At Fresh Start Juicers, we have food dehydrators that are great for making your own snacks such as granola, trail mix, and crackers. I was reading an article submitted by Denise Reynolds RD on emaxhealth.com dedicated to Jack Lalanne. 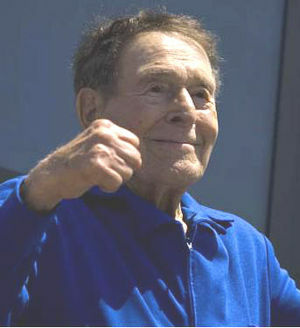 I was really sad to hear the news that Jack Lalanne had died at 96. I definitely admire him and his attitude toward fitness and lifestyle. It is so true that keeping active and eating well contributes to living a healthy life. I am both sad and grateful.